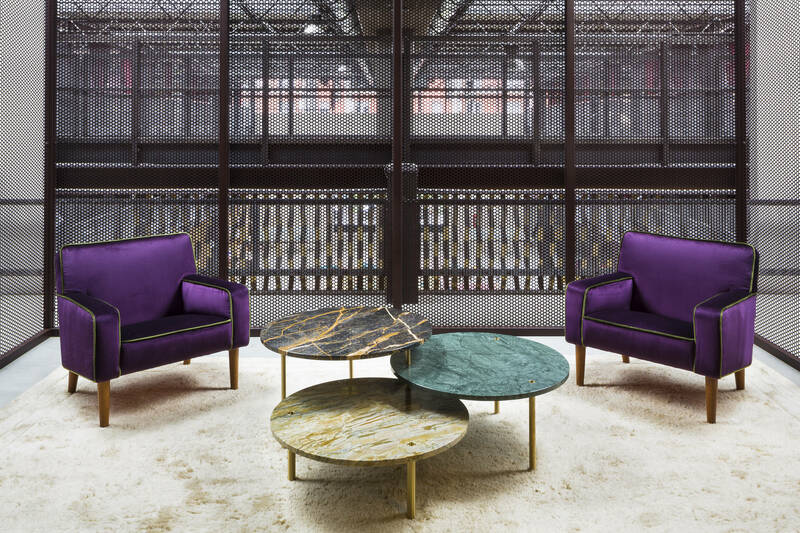 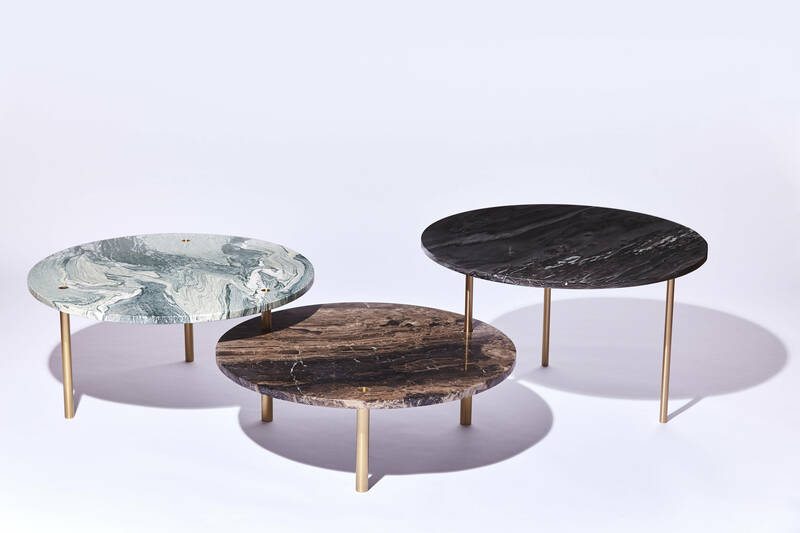 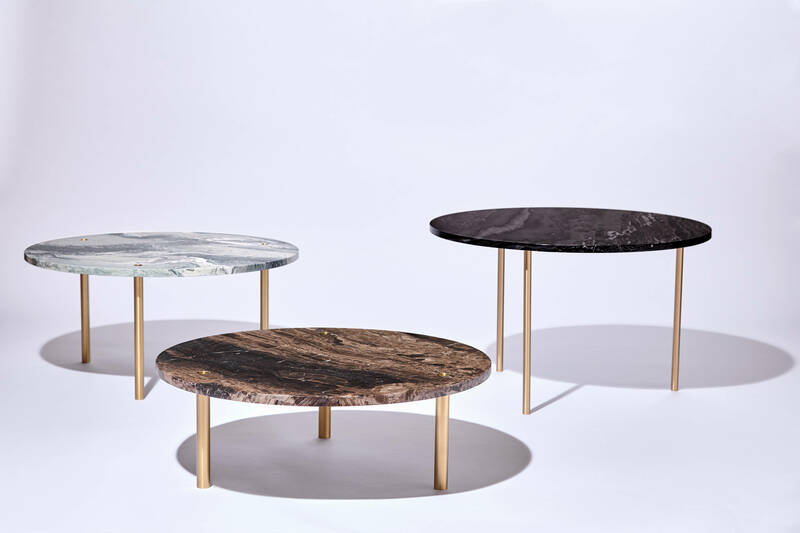 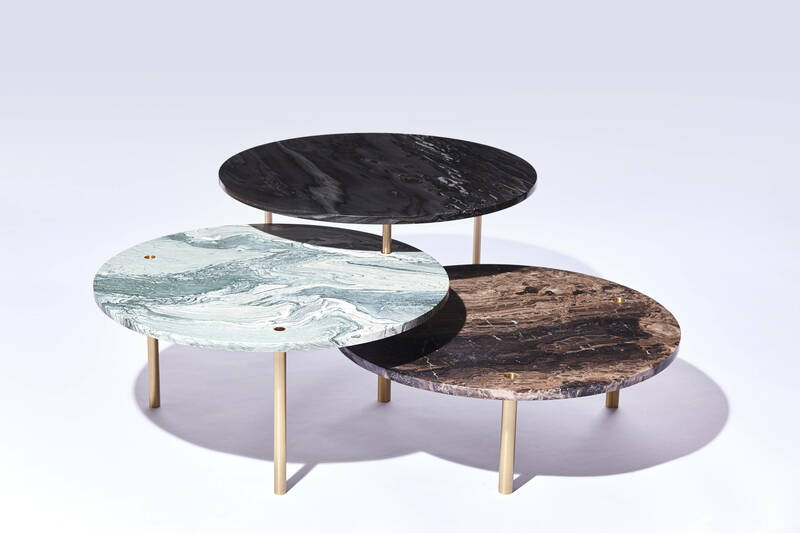 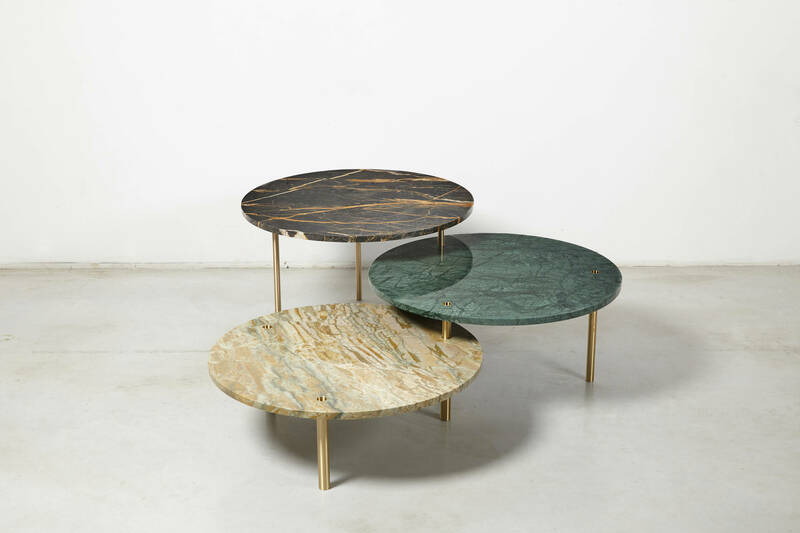 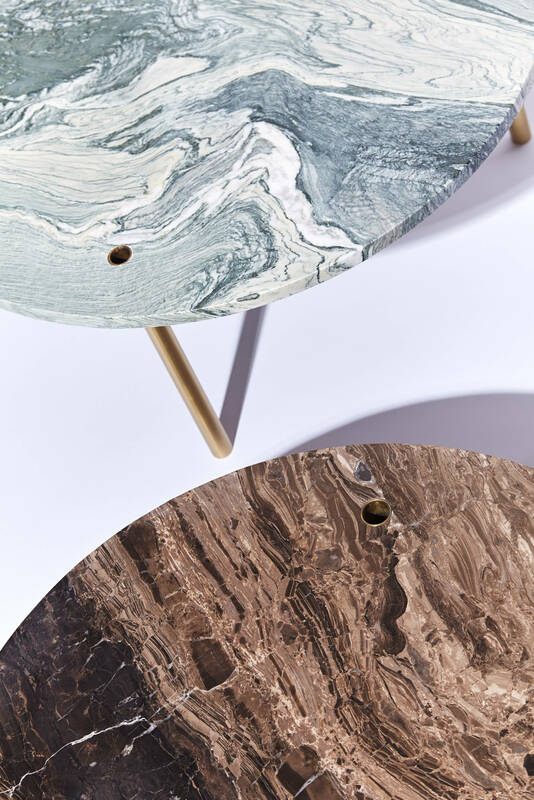 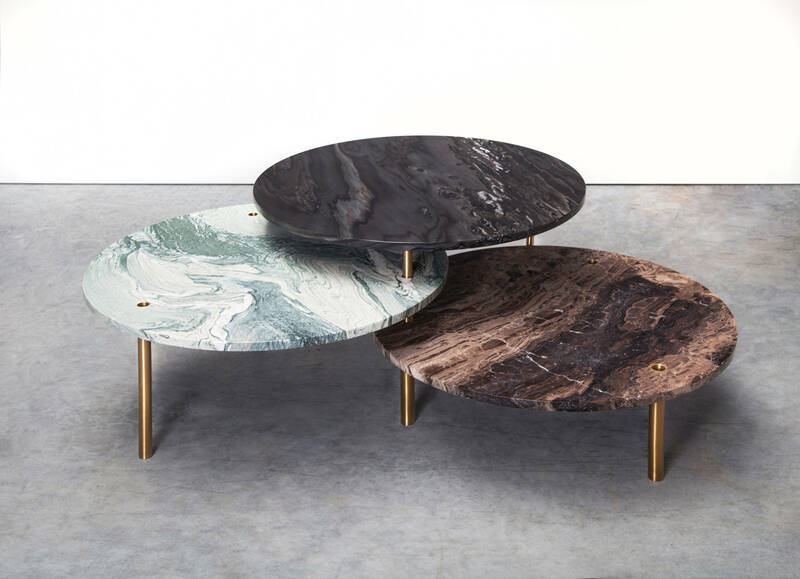 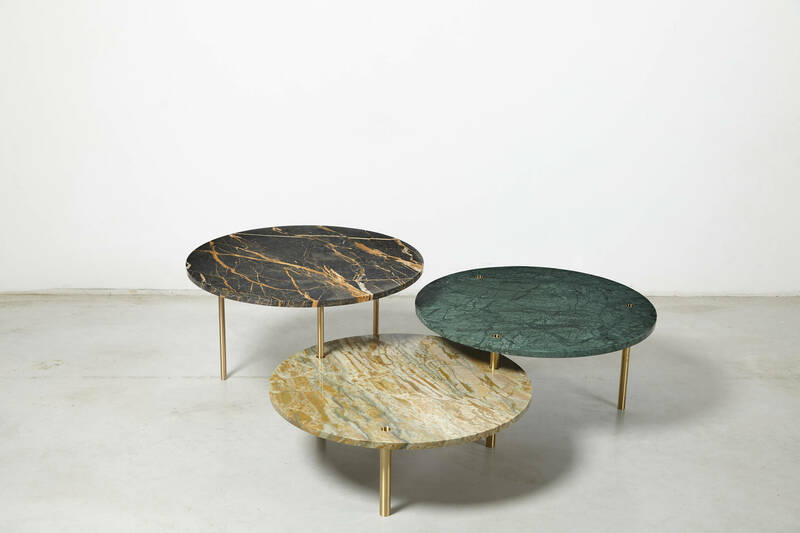 Just as the earth beneath our feet is in constant motion, these 3 tables made of precious marble can move closer towards or further away from each other. 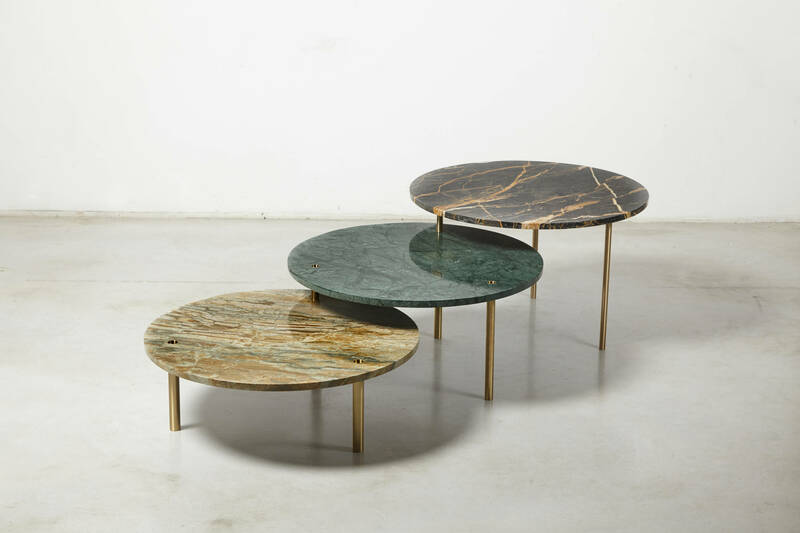 The composition can be adapted to the situation, and the tables can be used seperately as well. 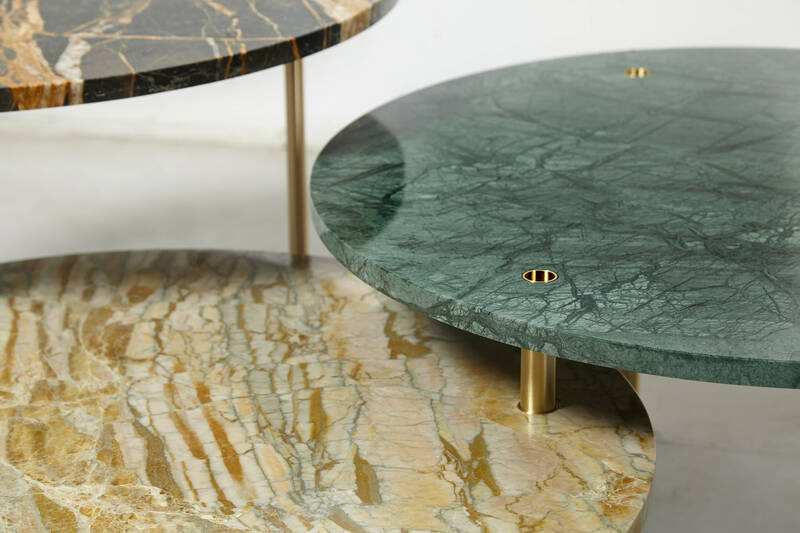 The brass legs of the higher table slide into those of the lower one, linking them together and allowing the tables to be rotated as desired. 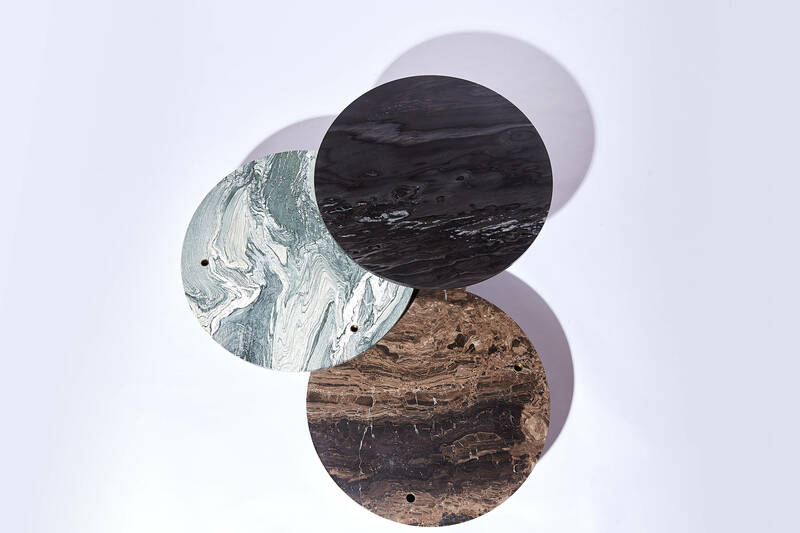 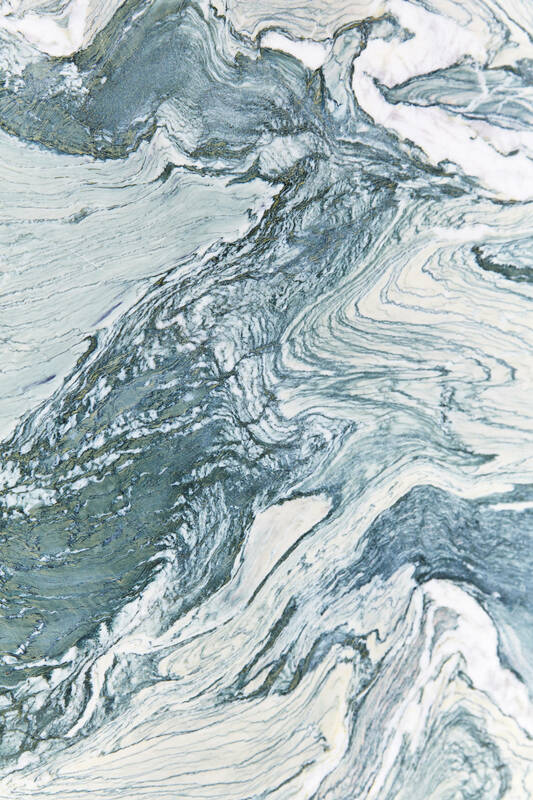 Each piece in this series will be completely unique, and the most equisite and rare types of marble will be combined. 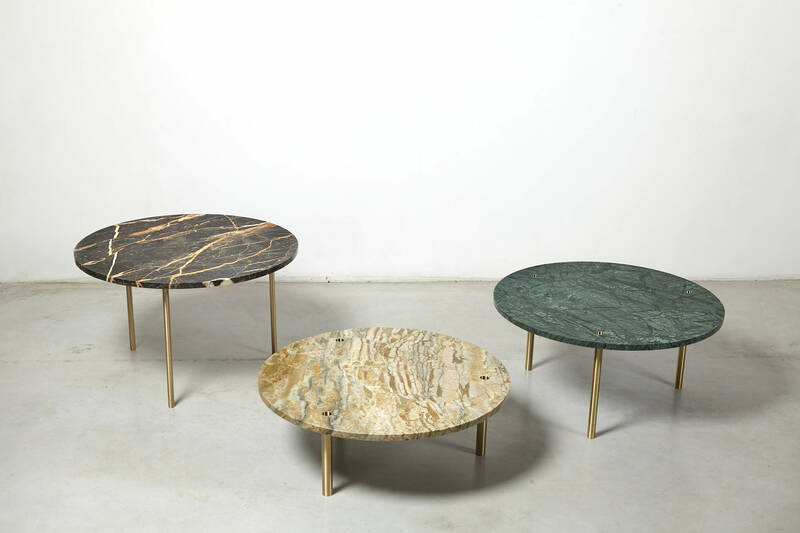 The project is developed with and produced by the renowned Belgian stone company Vandenweghe, absolute masters in marble.